يقع فندق Echoes Boutique Hotel & Restaurant، المصمم ليناسب كل الضيوف سواء كانوا من رجال الأعمال أو السياح، في مكان ممتاز في أحد أكثر المناطق تفضيلاً في Katoomba. يمكن من هنا للضيوف الاستمتاع بسهولة الوصول إلى كل ما تقدمه هذه المدينة النابضة بالحياة. كما يمكن الوصول بسهولة إلى تشكلات الأخوات الثلاث الصخرية, عالم الجبال الزرقاء الخلاب, Katoomba Golf Course. إن الخدمات الممتازة وحسن الضيافة العالي في Echoes Boutique Hotel & Restaurant تجعل إقامتك تجربة لا تنسى. يقدم هذا الفندق العديد من الخدمات الكفيلة بإرضاء أكثر الضيوف تطلباً. تعكس غرف الفندق البالغ عددها 14 المنتشرة في 2 طوابق جواً من الدفء والألفة.خدمات عصرية مثل تلفزيون بشاشة مسطحة, اتصال لاسلكي بشبكة الإنترنت (مجاني), غرف لغير المدخنين, مكيف هواء, تدفئة موجودة في بعض الغرف المختارة. يقدم الفندق العديد من الفرص للاستجمام كمثل مركز للياقة البدنية, ساونا, حمام سباحة خارجي, حمام سباحة داخلي, سبا. مهما كانت أسبابك لزيارة بلو ماونتيينز، فإن Echoes Boutique Hotel & Restaurant هو الخيار الأفضل لإقامة مثيرة وممتعة. Everything about The Echoes is of the highest quality! The view from the cliff side room we had was unequaled! 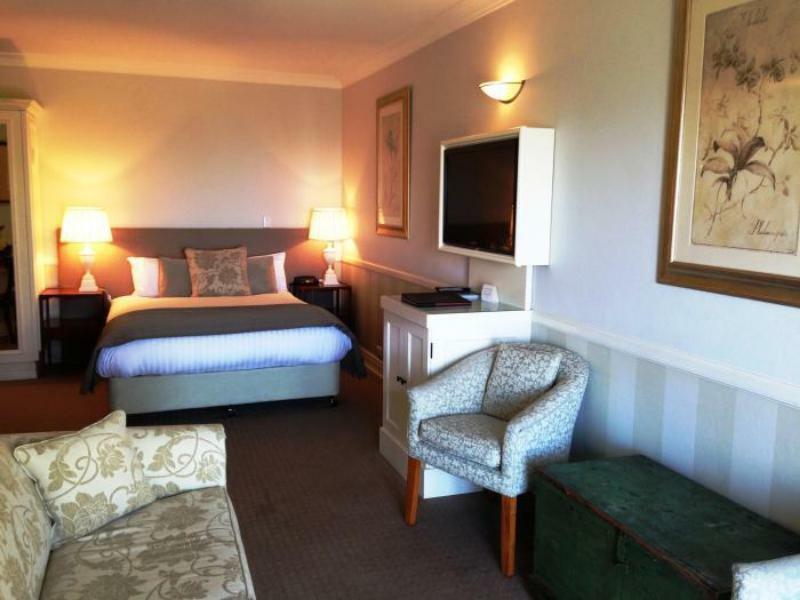 We recommend this hotel unequivocally! If you are gluten free you must ensure that the waiter/waitresses know that you are ..EVEN if you pick a gluten free meal . Our minds were blown! We absolutely loved this hotel and would 100% go back. 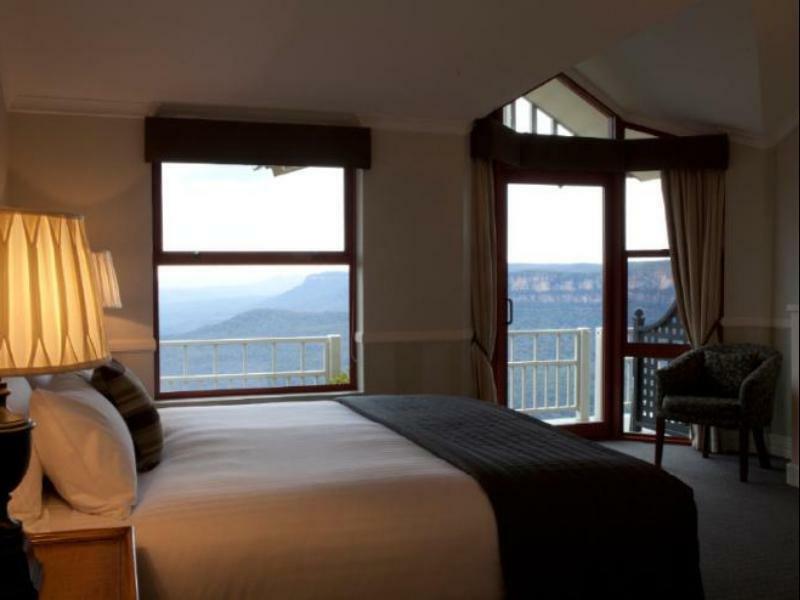 Our stay here was the highlight of our weekend in the blue mountains as we had the most stunning views overlooking the mountains from our balcony and even our bed!!!! Staff was excellent and always helpful. Breakfast was a generous and very good. The views to wake up to are second to none. Would definitely come back. 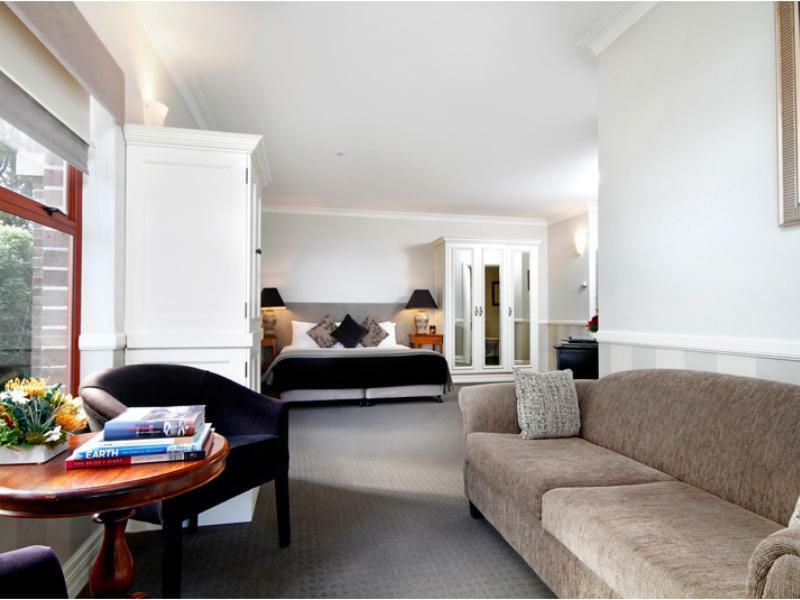 Welcoming, luxurious but with a cosy boutique feel. Delicious breakfast! Great location overlooking the mountains. Food is over priced and staff could be friendlier. Really well looked after from start to finish. A great place to visit when you want some peace and quiet from the city. Great staff and great facilities. After a very long journey, our spirits were lifted- it isn't often that what you see on a website is ACTUALLY what you get! Excellent service to match the outstanding location and panorama view from our room and other parts of the truely boutique hotel. Outstanding in every sense- at Echoes Boutique that is. 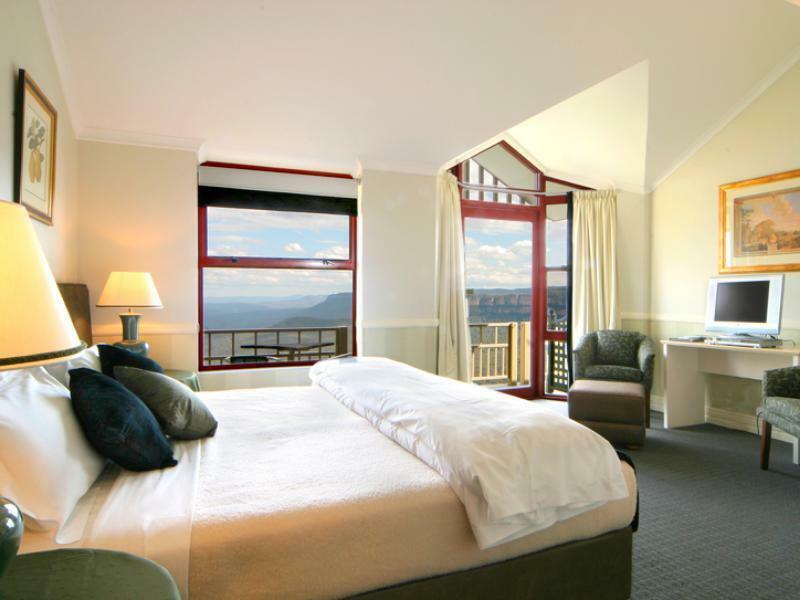 My son and his partner booked this hotel for one night and although living in Sydney and frequently visiting the Blue Mountains for picnics and bush walks, this experience was AMAZING. Thank you! We arrived from Singapore to treat our mother for her 70th birthday and found the views from the rooms to be breath-taking. It was mid-December and the weather was perfect to provide a riveting atmosphere as there was thick clouds low in the valley. The next day, the clouds disappeared to show clear blue skies and one of the most amazing views. We were lucky with the weather and had a great walk to the lower section of the Three Sisters which was a once in a lifetime experience for us. The staff left a clever birthday surprise for our mother and we enjoyed the hospitality of the international staff. Overall, we have already recommended this experience to friends and family and will treasure this hotel, looking forward to returning for other special occasions. Although it was summer, be prepared for some cool weather. 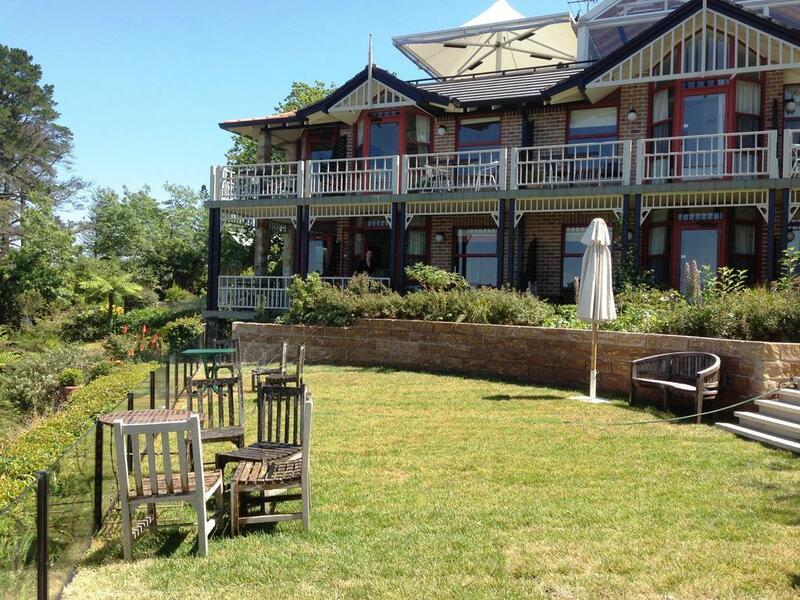 Amazed by the close proximity to Sydney and easy for a weekend trip. We also found the town of Leura to be charming and managed to take home a suitcase full of antiques. Beautiful location. Bed was too firm for my liking and the pressure of the shower was horrible. Everything else was great, staff were very friendly and actioned requests quickly. Amazing views, very beautiful surroundings.